Inlet Beach is the "New Kid On the Block" in regards to the 30A corridor. High end shopping, upscale restaurants, beautiful state parks, and WORLD CLASS BEACHES make Inlet Beach the place to be and to be seen! 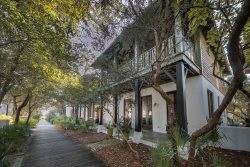 It's close proximity to Rosemary Beach, Seacrest Beach, Alys Beach and all of 30A East without the hustle and bustle are a huge part of the Inlet Beach appeal.